Covergirl TruBlend Matte Made Foundation Comfort Matte – “comfort matte” is a totally appropriate name for this one – this is, hands down, the comfiest matte foundation I own! Dior Fix It Colour 2-in-1 Prime & Colour Correct* – I found this after losing it for about six months, and I didn’t know how much I missed it until I found it again. The peachy-ness helps hide my dark circles, and the formula is super creamy and blendable. Neutrogena Hydro Boost Multivitamin Booster (courtesy of ChickAdvisor) and Korres Golden Krokus Elixir* – Yes, I’m catching up with the rest of the beauty world and am committing to morning skincare. I mix 2 pumps of the Hydro Boost with 2 drops of the Elixir and apply it to my face right before I put on my makeup. I’ve seen an improvement in my skin too! 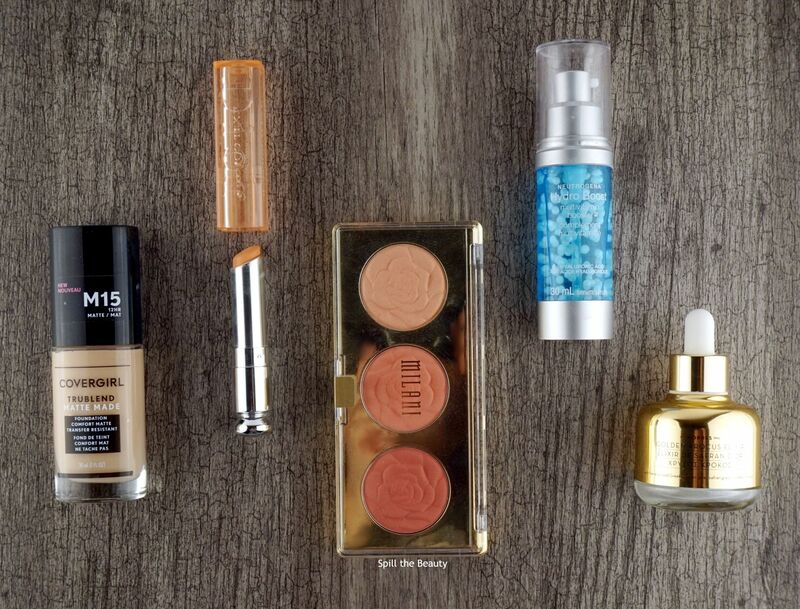 My makeup now applies smoothly and my T-zone is MUCH less oily when I do a mid-day check-in. Milani Rose Powder Blush in Flowers of Love – This was such a good purchase! The Milani rose blushes are so pretty, but the full-size ones are a bit of a pain to store because of how big they are. This trio has a tone of blush that suits my needs for any occasion and it doesn’t take up too much space.